Want to be one of the first to know? Enter your email address to subscribe to this blog and receive notifications of new posts by email. Social networking websites are a great way to reconnect with friends and business acquaintences. 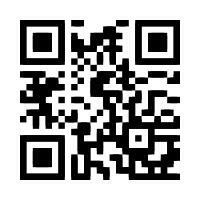 Scan this code to with your smartphone to view our site when you are on the go. Recent studies suggest that consumers prefer mobile advertising that is “permission-based,” even more than advertising that is “relevant.” In other words, people would prefer to request information instead of receiving it just because they are near the ad or might be interested in the product. Ever heard of QR codes? Not many people in the USA have…yet! Marketing professionals around the world are using these two dimensional bar codes to create meaningful interactions with consumers. How? Brand managers can print QR codes on point-of-purchase advertising, packaging, or just about anywhere else they advertise their product. 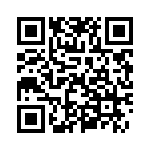 Anybody with a smart phone can download QR code reading software for free. Consumers who scan QR codes are automatically directed to web sites where advertisers can provide more information, share their latest promotions, and sell products online.